Quick heater in winter, fan in summer! 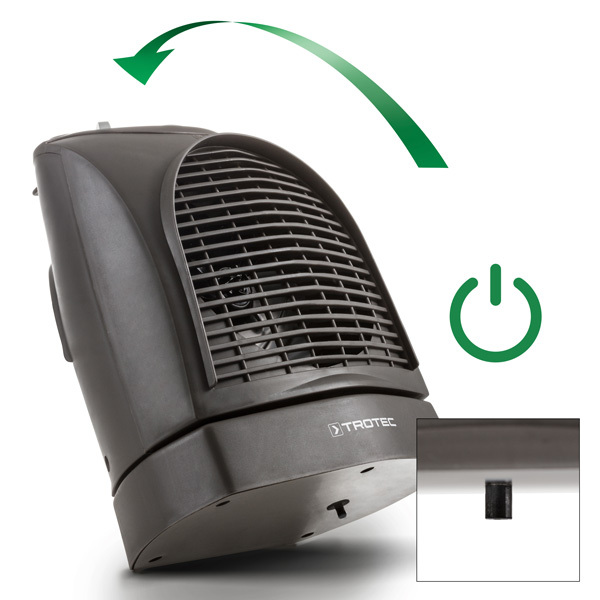 Being designed in a trendy mocha colour, the fan heater TFH 22 E quickly creates an agreeable temperature in every room in an elegant and silent way thanks to an output of up to 2,000 W. Thanks to the infinitely variable thermal control of the fan heater, the preset heat level can be maintained in an energy-efficient way. The TFH 22 E further impresses during the transition season or as an additional heater for cold days in living and office spaces, camper vans, hobby rooms and conservatories as well as in small workshops, garages or storage areas. 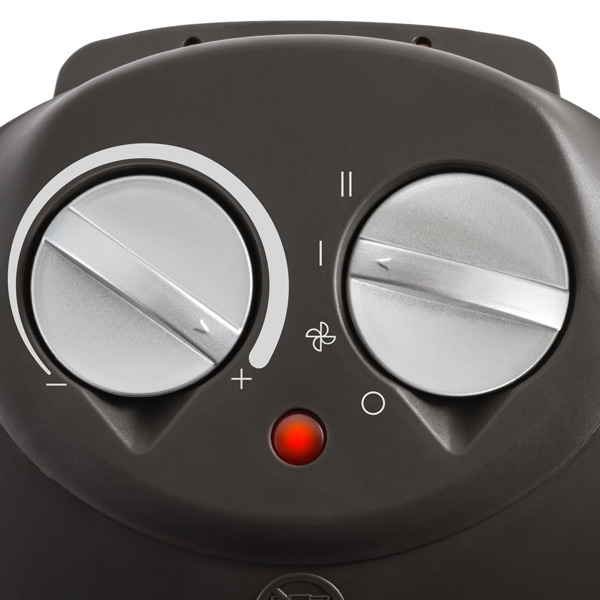 Its heating power can be output at two heating levels, optionally also with an oscillating movement. 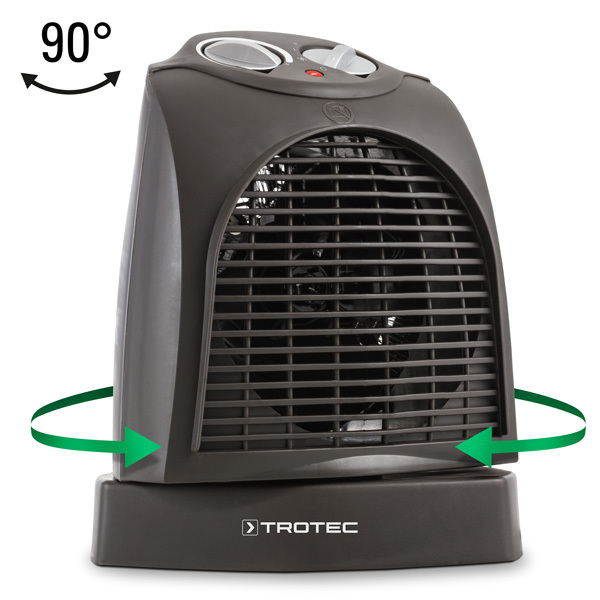 This means that the housing rotates vertically by 90° so that the hot air can distribute in the room more easily. Since the integrated fan has an additional cold setting, the device is also suited for cooling operation during the hot summer months. When used in combination with the oscillation function, the high-performance axial fan guarantees an extremely fast distribution of the hot or cold air at all times. Wherever a socket is near, the compact fan can be used conceivably easily: set the device up, plug it in, switch it on, and that's it! The convenient carrying handle allows for easy transport of the device. An indicator light and the TFH 22 E's automatic switch-off function, which is triggered in case of overheating or when the device is tipped over, ensure safe operation at all times. 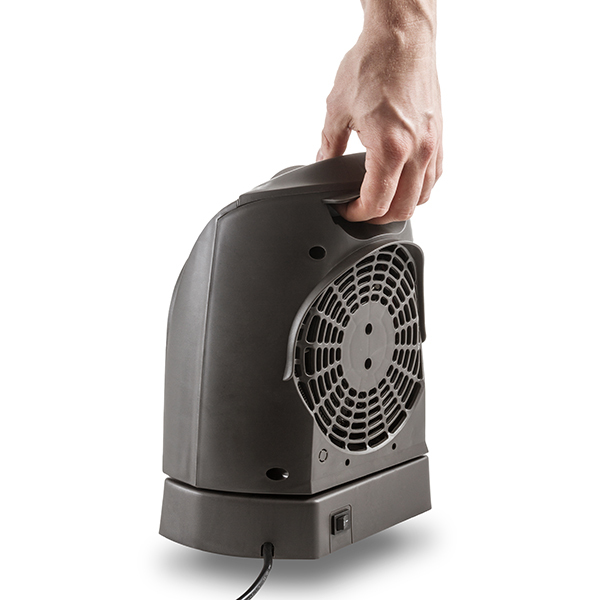 The convenient carrying handle permits an easy transportation of the fan heater TFH 22 E to any desired operating site.